Over the last 13 years, I have spent my career in education in the Springdale School District in Springdale, AR. The 3rd and 4th grade classrooms I have taught were at about a 75% or higher ELL (or ESL) population. 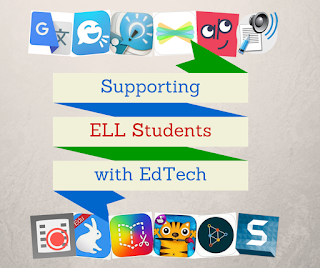 As I have seen the boom in EdTech over the recent years in our district, I have really paid attention to the technology tools that are available to help our ELL students succeed. There are several tools out there to provide the scaffolding and support to these students, but I am just going to focus on a few of them for this post: Translation Tools, Auditory Tools, and Recording Tools. 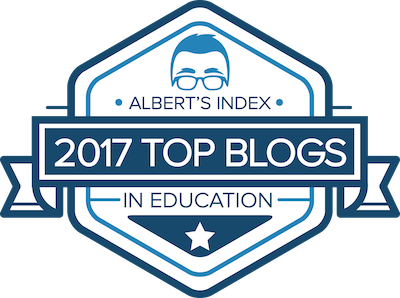 These tools are nothing new in the world of technology, but as more students are able to access technology in the classroom they should not be overlooked. 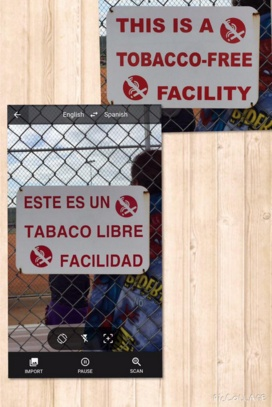 Tablet/Phone App: The app allows you to point your camera at a sign and translate it to a different language. It also allows you to speak one language into the device and it will translate and speak out loud in another language. Google Search/Website: If you search google translate, a text box will appear at the top of your search results that allows for instant text translation. translate.google.com also does this function. Chrome Extension: The Google Translate Chrome extension allows you to change the language of any website you are looking at with a few simple clicks, never leaving the web site you are viewing. iPad/iPhone: I simply use Siri. This is activated through the accessibility menu within settings. Students can change voice accents and also speech rate. Chrome: I prefer the extension SpeakIt! Voice accents and speech rate are also controllable. As mentioned, I realize that these may seem like fairly simple tools in today's high tech classrooms, but the importance of what these tools can bring to our ELLs should not be looked over. 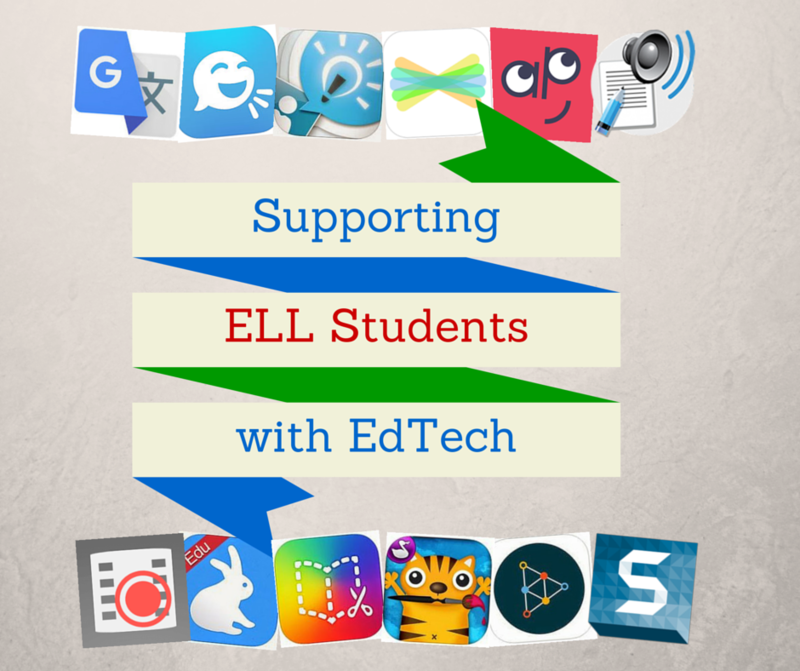 Apps that record student voices, screens, and actions can make a great impact with our ELL students in two ways: comprehension/assessment and reflection/meta-cognition. Comprehension/Assessment - Giving ELL students the option to record their voice to explain a concept and turn it in to their teacher is critical. Our ELL students comprehend information at high levels, many of them just have difficulty putting their learning and understanding into writing. Why not allow them to record their understanding verbally and send that to the teacher for a comprehension check/assessment? There is a relatively new website/app called Recap just for this purpose. Chrome Extentions: Screencastify and Snagit Chrome Extensions. As with everything with EdTech, it is important to not get wrapped up in the "bells and whistles" of an app/site, but what it really offers your students. In the case of our ELLs, thinking of how these tools can support language development should be our number one goal. Get admission fast with a reputable University great offer for student & professionals we are start online education program and you can easily get school of life experience degree online and complete your reaming education. For me a perfect senior is the one that is smart, but for me a perfect senior need to have talk amenities. A perfect senior should have a GPA over 4. He and she should help everybody and belong to any of the clubs of your school. In this country, a perfect senior should know speak and write Spanish and qualified dissertation writers that the masters and PhD students. When I was in high school there was senior that he had a program called road to the future when he talks to all the senior about the chances for them to study in college and universities.